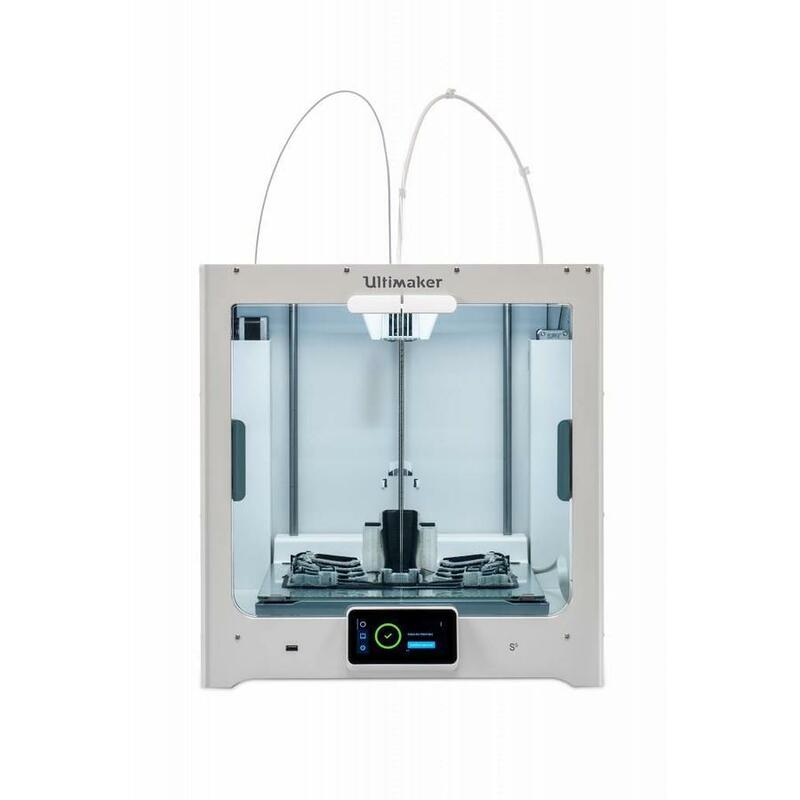 The new Ultimaker S5 is truly the most powerful, reliable and versatile 3D printer of the moment. 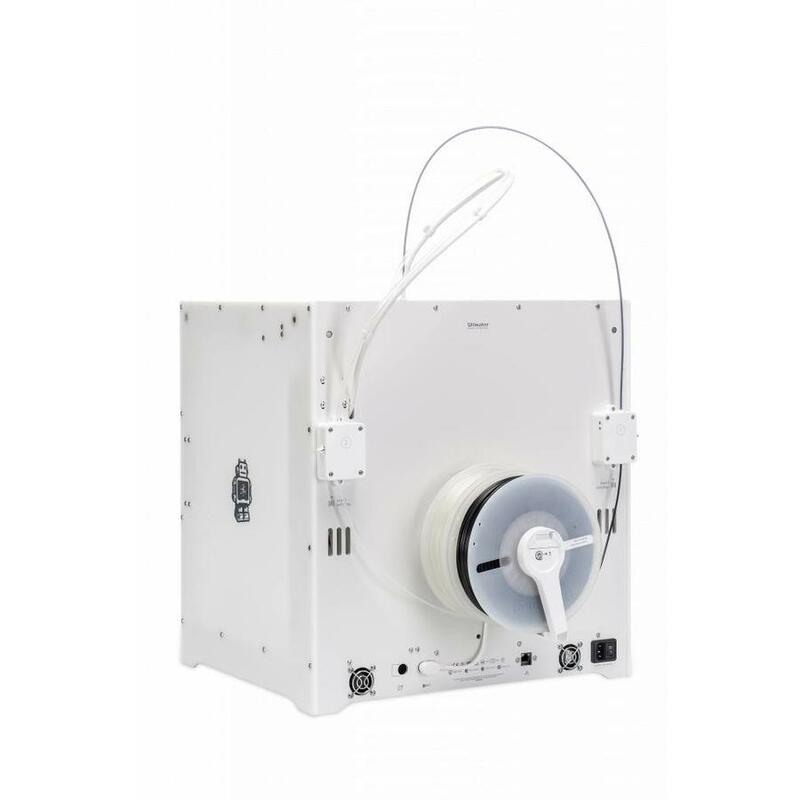 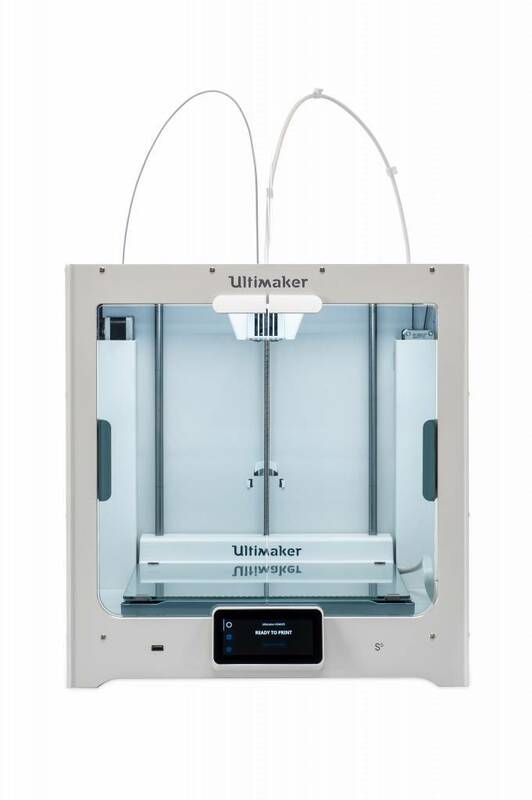 The printer is based on the successful Ultimaker 3 and improved in terms of building volume, easy operation and perfect reliability. 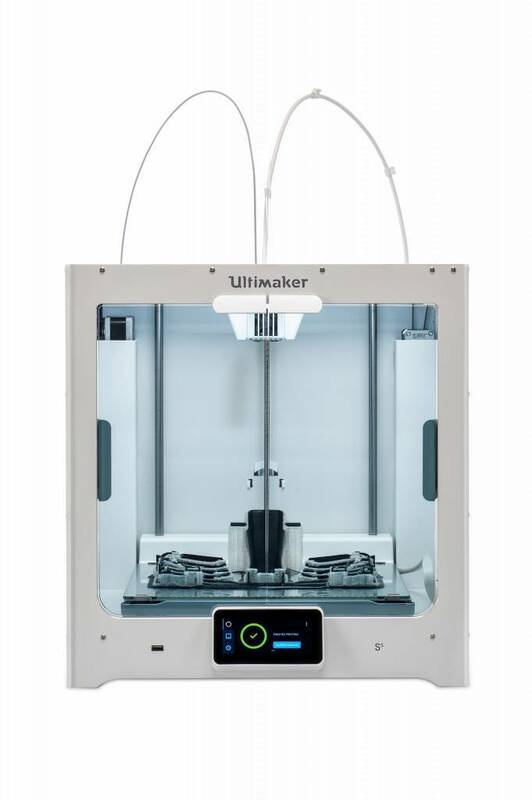 The design of the Ultimaker S5 fits into any office interior. 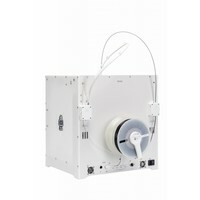 The closed front with glass doors ensures optimum air flow and temperature. 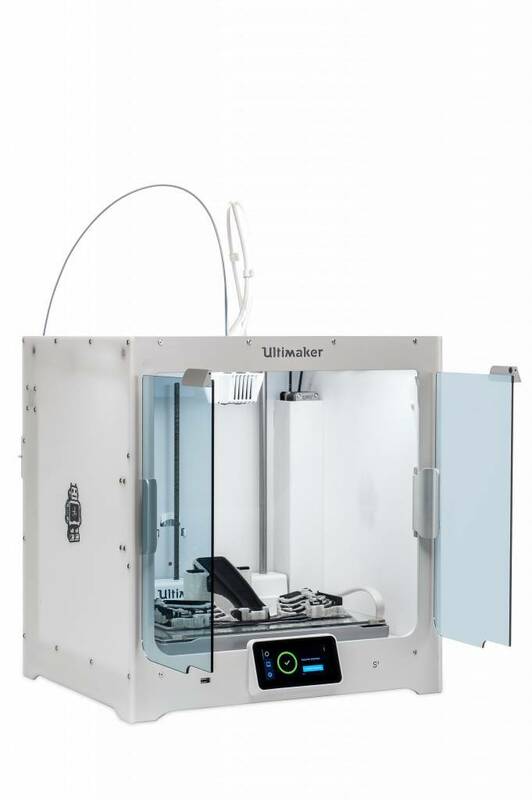 The 4.7 "touch screen makes the operation of the printer very easy and displays the detailed status information.The LED lights in the frame project a white light so that the object can be inspected properly during printing. 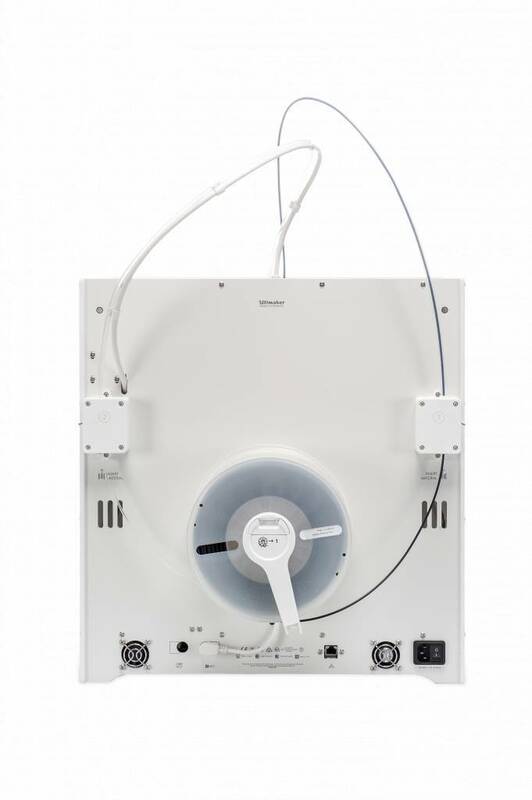 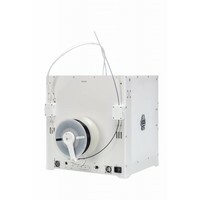 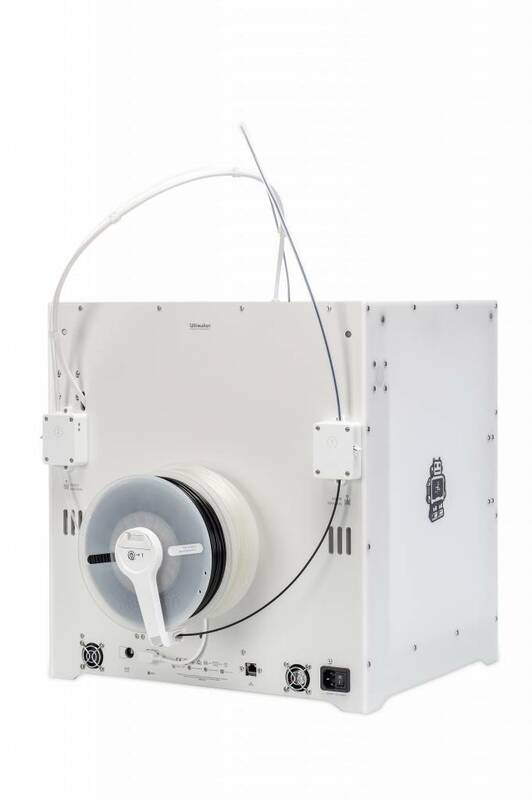 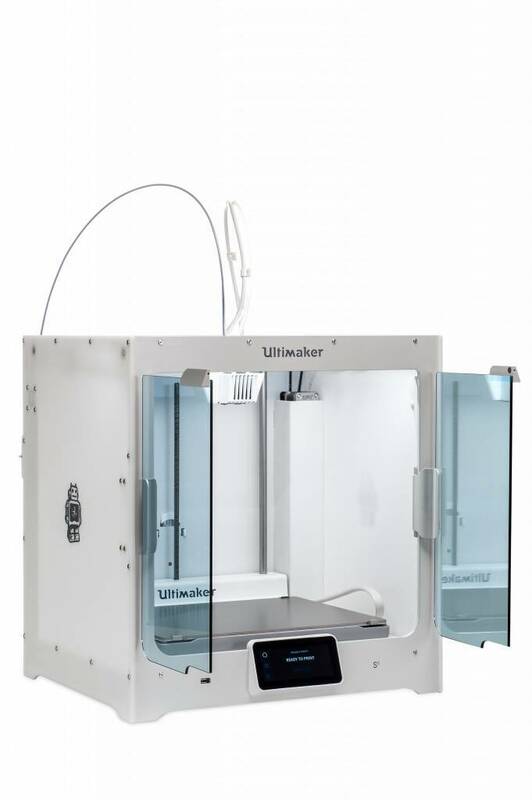 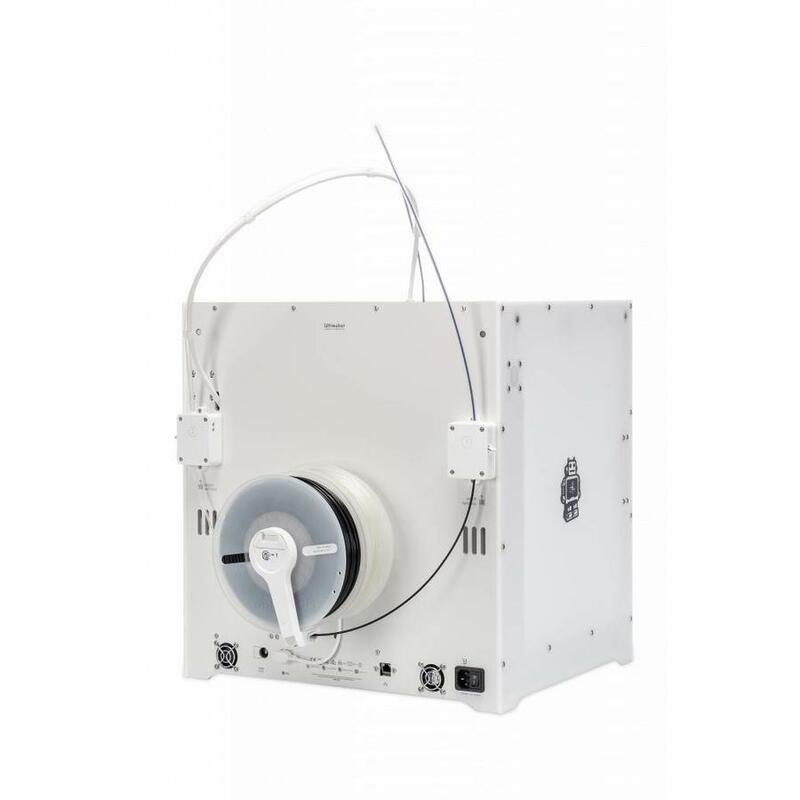 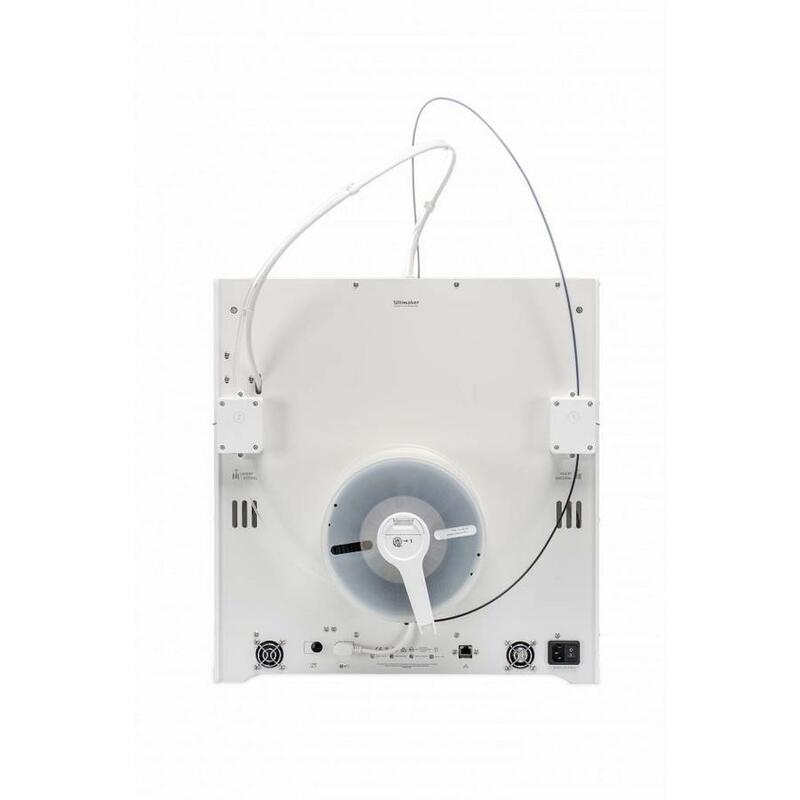 The Ultimaker S5 has a large construction volume of no less than 330 x 240 x 300 mm. 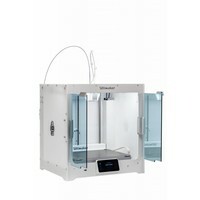 This makes it possible to print very large objects or, for example, multiple parts at the same time. 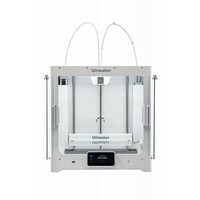 In combination with Cura Connect it is possible to connect multiple Ultimaker S5 or Ultimaker 3 printers and maximize production efficiency. 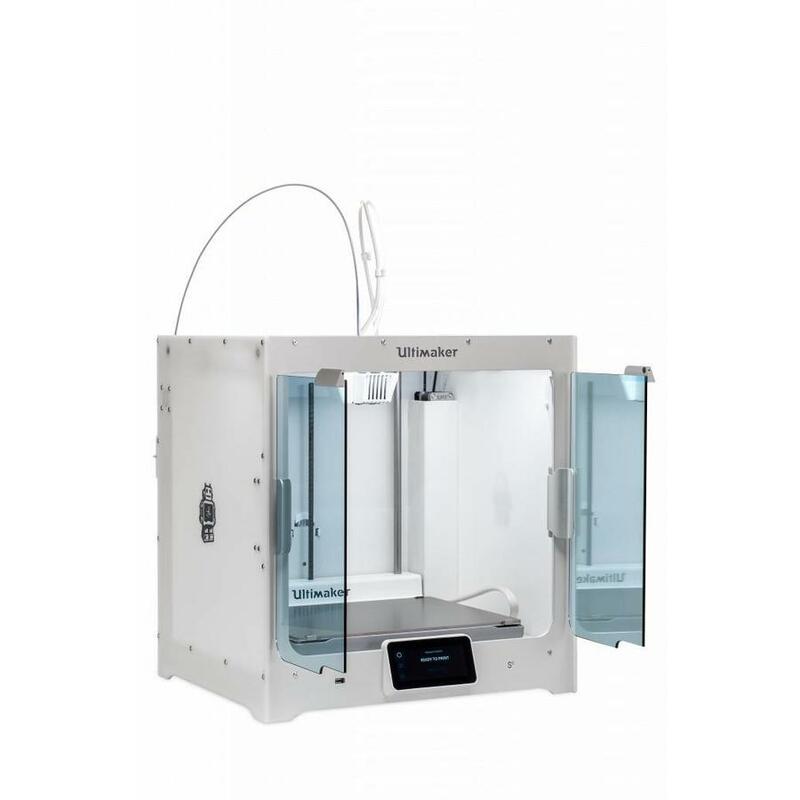 The multi-point leveling system ensures the perfect adjustment of the heatbed with the help of a height chart. 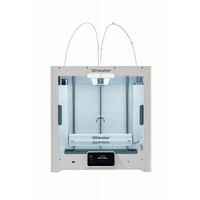 All this for perfect adhesion of the material on the two supplied print surfaces. 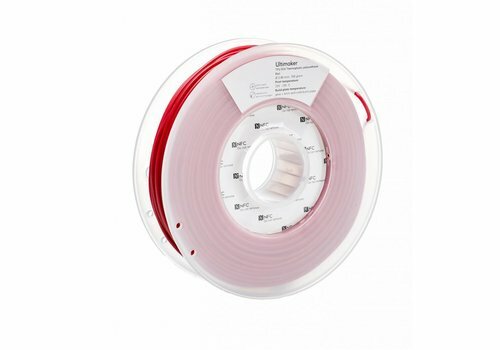 It is for normal use, hard glass print surface and the ultra flat anodized aluminum print surface. 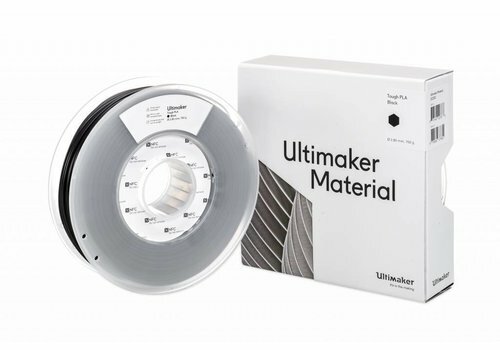 The interchangeable print cores, as we know them from the Ultimaker 3, are easily and quickly exchanged for maximum printer uptime. 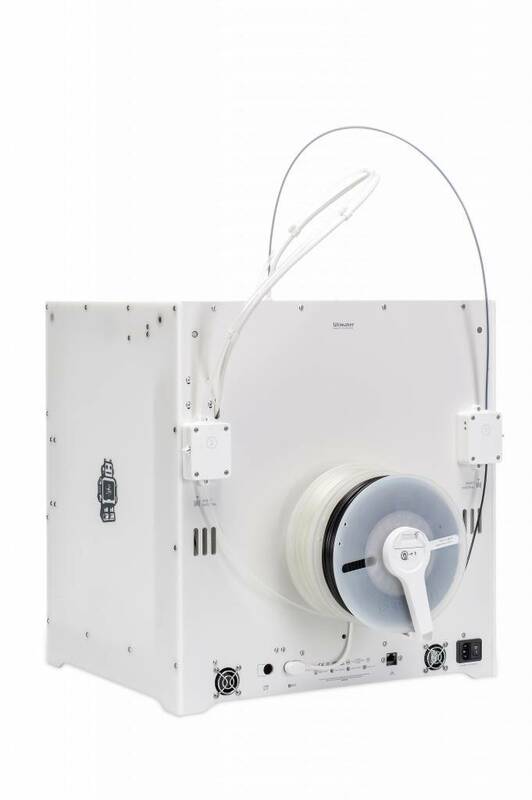 The print head has two print core openings so you can easily switch with a 0.25mm print core for detailed prints or a 0.8mm print core for fast prints. 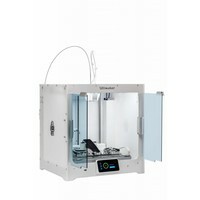 The dual extrusion also makes it possible to print with different colors or with support material such as PVA and HIPS. 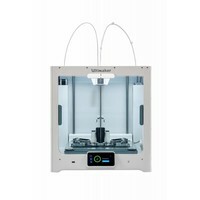 The built-in filament sensor stops the printer if the filament runs out and gives a signal. This prevents the failure of prints. 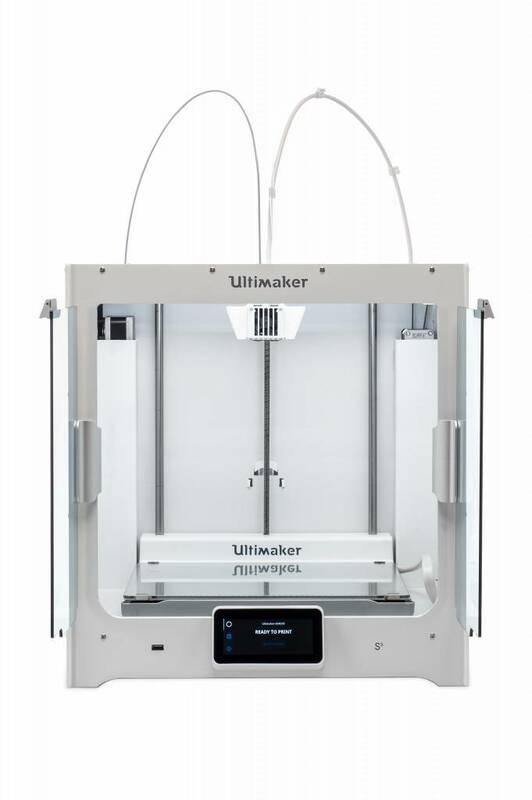 Besides the lifelong online support, the Ultimaker S5 comes with 12 months warranty. 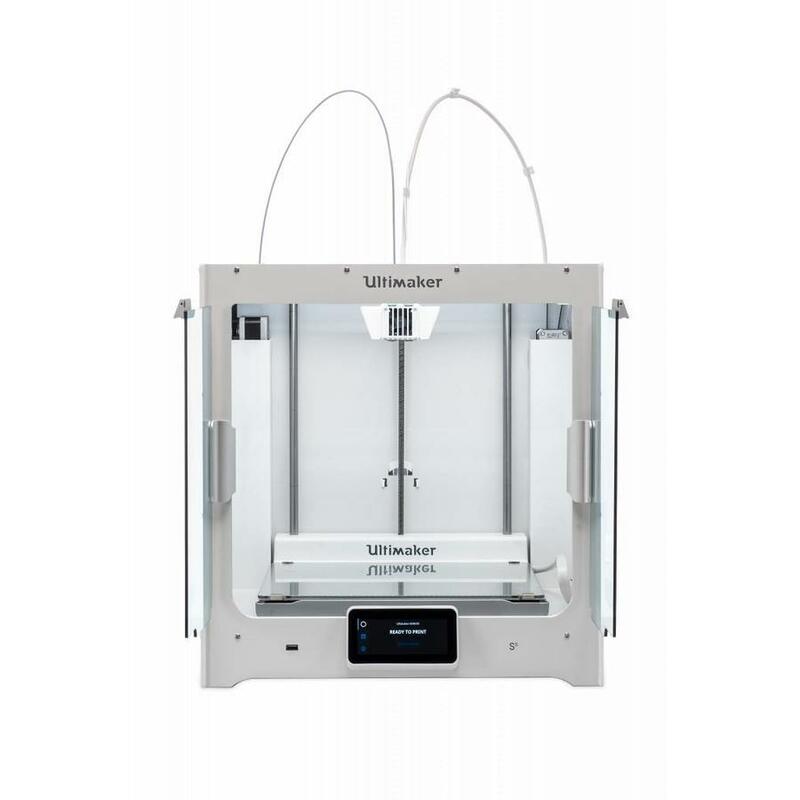 On the Ultimaker Troubleshooting website or at the Ultimaker Community you can always contact questions or problems. 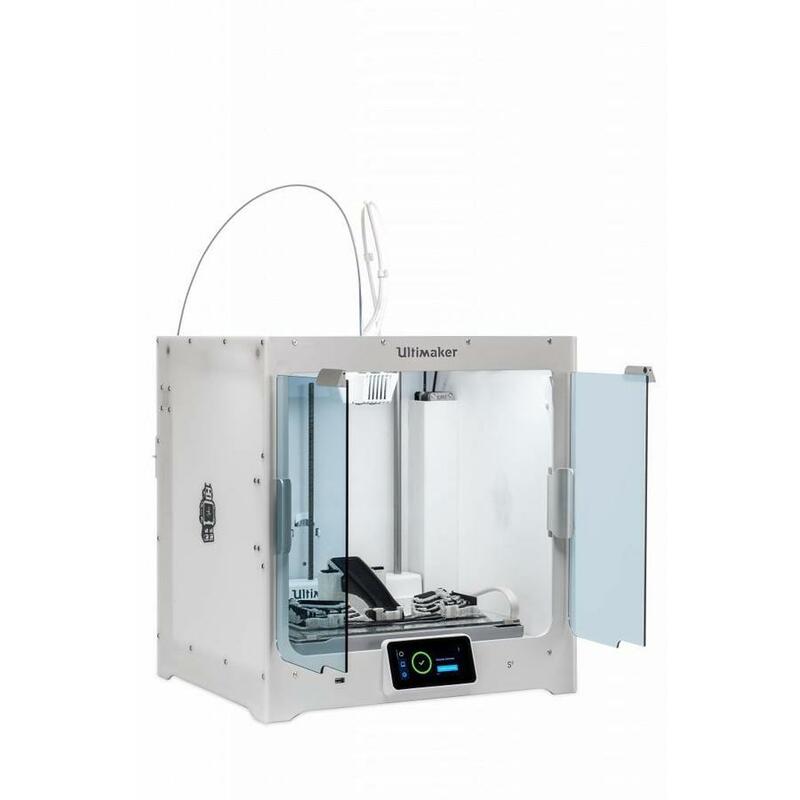 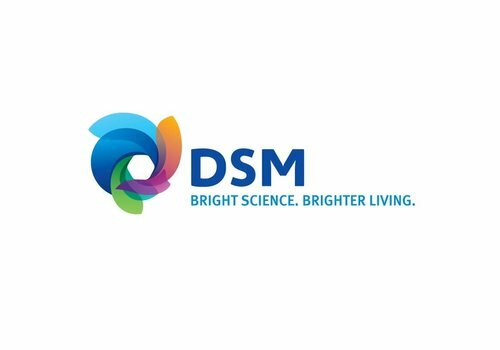 The 10,000 3D printing experts on this active network platform are always willing to answer questions and / or give tips and tricks.